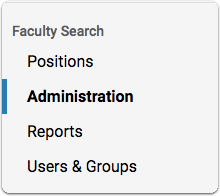 Administrators and Committee Managers can change the status of a position in ByCommittee Faculty Search from the Applications page or the Review Position screen. 1. From the Navigation bar, select Positions. 3. 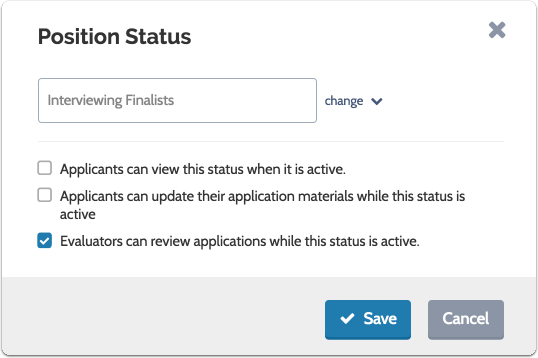 Click the Change button for the position's Status field. 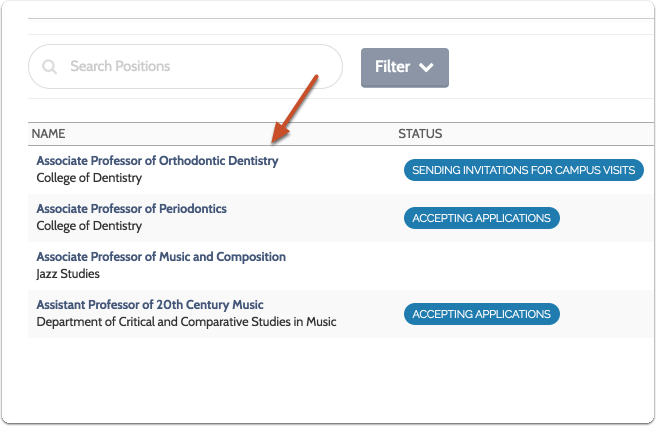 Note: Notice the "Close Position" status at the bottom of the list. 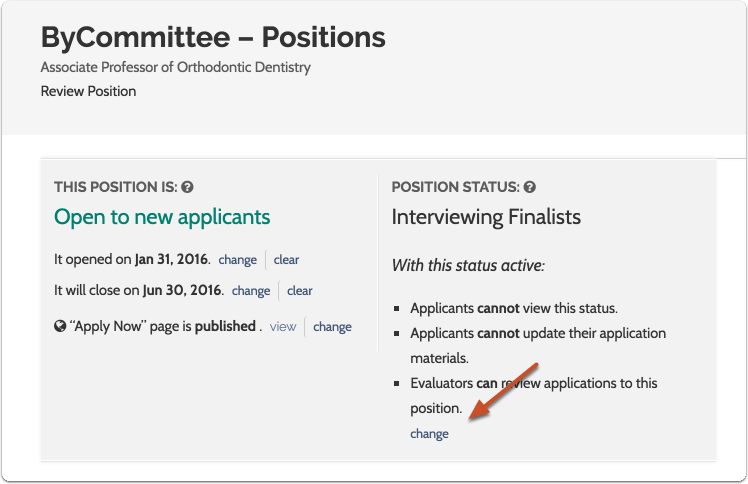 See here for more information on closing a ByCommittee search. 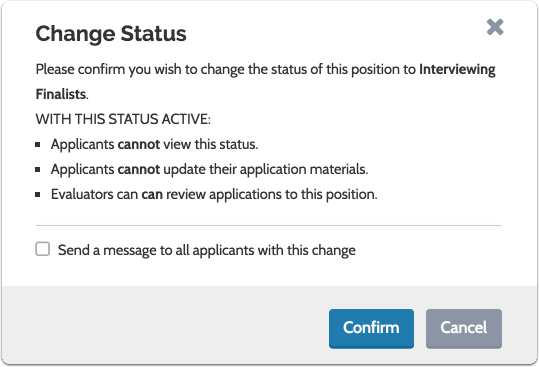 The "Change Status" window reminds you of the permissions associated with the active status and gives you the option to compose and send an email to applicants about the change.